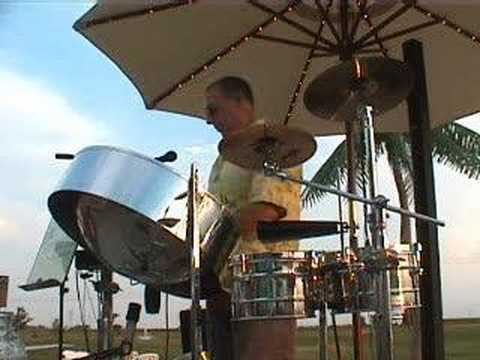 Escape to the islands with the authentic steel drum sounds that originate from the islands of Trinidad & Tobago. This unique island sound is sure to put a smile on your face and bring a warm, tropical feel to your special event. Steely Pan combines the acoustic sounds of steel drums with expertly sequenced bass, guitar, Electric Piano and drum tracks to give a full steel band sound at an affordable price. No job is too large or small. 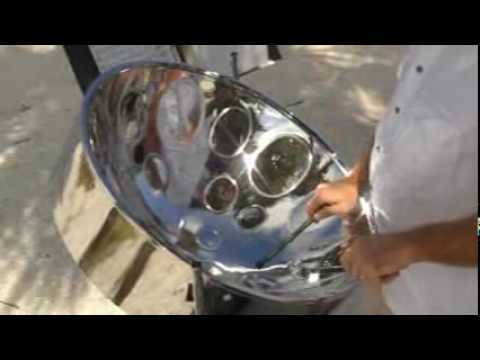 Steely Pan uses Panyard Solid Hoop steelpans and the Bose Personalized Amplification System. Excellent artist, and easy to work with. Thanks Adolph! What a great setting for the ceremony and cocktail. First time I saw a ceremony in the round set up. I loved it! Best of Life, Love and Happiness! Tim is awesome. Hands down is everything and more we were looking for. Music is so relaxing upbeat and just breathtaking. Tim will be doing our grand opening party as well. If your looking for a great addition to your party event or anything select Tim. Steely Pan was a hit! The guests loved him and his music was a great addition to the ceremony and cocktail hour. Would highly recommend. Lots of people commented to me how good the music was. I originally rented a home but the rental cancelled at the last moment. We ended up in a smallish room for 40 people. Dan's music was not too loud for conversation, which wasn't easy in the room size. He also doesn't take up much space. He arrived early and was extremely professional at all times. I would so hire him for another event, even one that isn't a Caribbean party. We had an event with nearly 95 people. 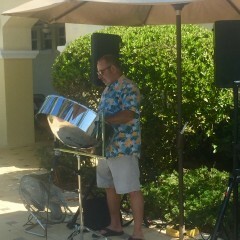 Steely Pan did a great job with the entertainment music poolside. I received so many compliments on how great the music was. I’m so glad to have found him using Gig Salad. I would have never known where to look for quality entrainment like this without it. We would certainly use Steely Pan again for sure!! Thank you for the great review Kim! The guests were great! I look forward to working with you in the future! This musician was extremely professional throughout the entire process from booking to wrapping up. I would hire him again in a heartbeat. 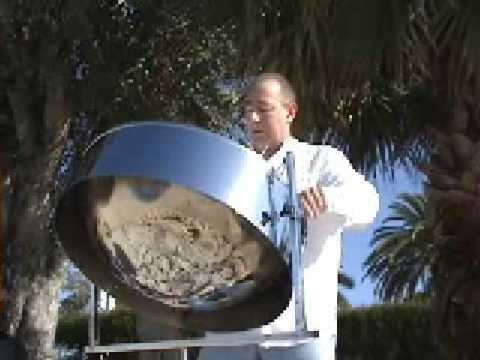 We recently hired Steely Pan for our Farewell Dinner event. 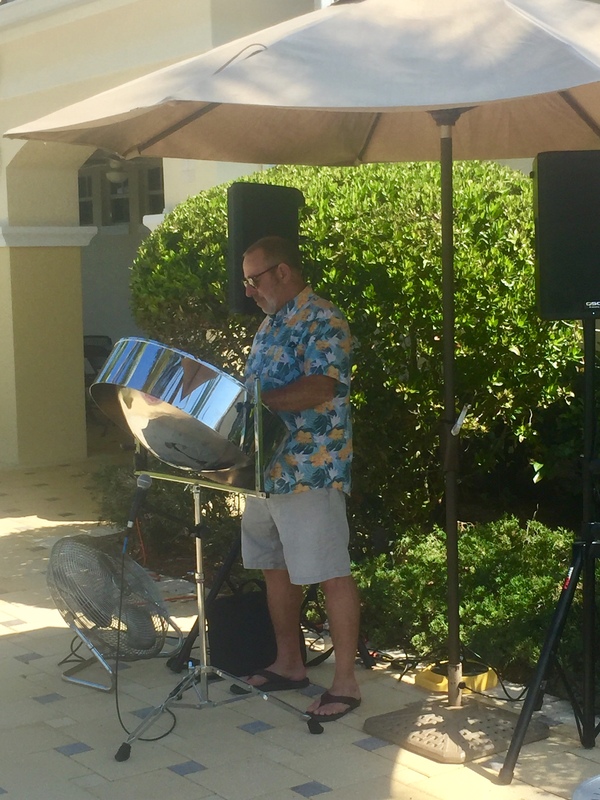 He was punctual, was set up in a very short period of time, performed the first part of our event, on the Steel Drums and was well received by our group of over 400 attendees. During the dinner, he provided background music and ended the event with a varied selection of interactive dancing music. To conclude the event, we actually had to announce a last dance and turn up the lights so we could meet our time limit with the hotel. I highly recommend Steely Pan and his Services. The music was perfect for our event (wedding & reception). Tim is very professional and easy to work with. All of our guests raved about his performance. My only regret is that we did not book him for the entire event! We will definitely use him in the future for other events and highly recommend him to anyone looking to add Steel Drums and/or a DJ to their event. Tim Delaney has been an active percussionist for over 40 years. He graduated from Illinois State University with a degree in Music Therapy. His first taste of playing steel drums was at a week long camp at Northern Illinois University, in the summer of 1990. 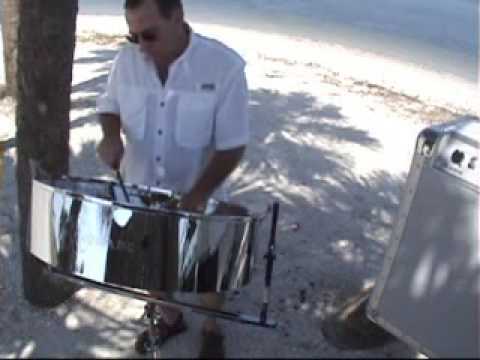 Since then, he has provided quality steel drum entertainment across the Midwest. Several trips to the Caribbean have given him a greater appreciation and knowledge for the instrument, music and culture of the islands.